Manufacturer of a wide range of products which include chair - massager and exercise machine. Chair - MassagerWe are the foremost manufacturer, importer, exporter and supplier of impeccable quality Massage Chair. Our given Massage Chair is praised for its fine finish optimum quality. 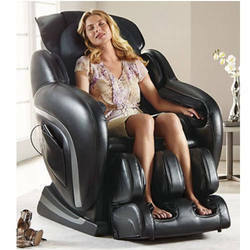 This Massage Chair is accessible in various specifications to meet the demand of patrons. We manufacture the entire range of Massage Chair using sophisticated techniques and excellent quality of material in accordance with set standard. 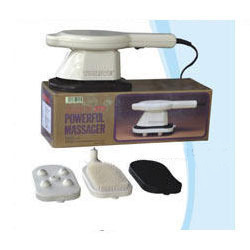 We are the prominent manufacturer of an excellent range ofMassager Machine. The offered fitness equipment is obtained from the leading institutions and is highly valued for simple use. Designed in line with international quality standard, our range finds application in health club, sports clubs and resorts. The massager massages both these areas mechanically to relieve the pain existing there after a hard day’s work.